Ginger or Zingiber Officianale Rosc, is an earliest Oriental spice in Europe. In India, ginger is cultivated to be used as a fresh vegetable and also as a dried spice. Indian ginger is famous throughout the world for its characteristic smell, taste, flavor & texture. 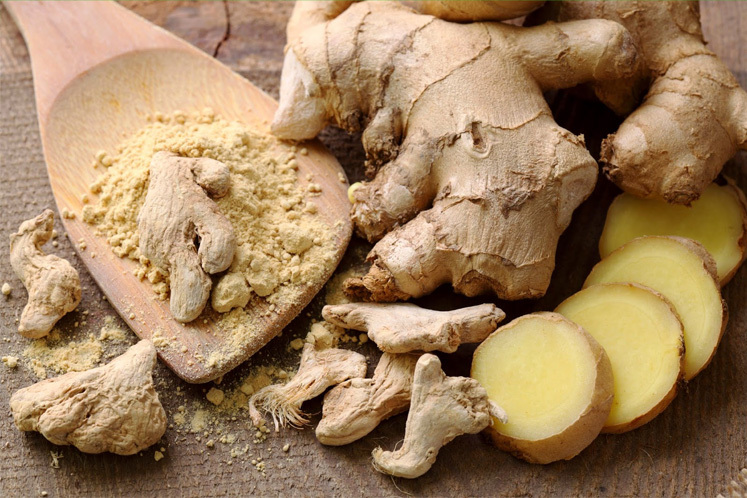 Ginger is considered to be a good taste maker, flavorant, medicine and an appetizer. Ginger is grown all over India, but the best quality is produced in Kerala. It is because here in Kerala we have a congenial climate and good earthy soil. In International market, the Indian dry ginger is known by the trade names ‘Cochin Ginger’ and ‘Calicut Ginger’. Ginger is available in a variety of forms such as oils, oleoresins which is a mixture of oil and resin, fresh ginger in salt water, pickles, syrups etc. India always acquires a prominent position in the cultivation and exportation of ginger.